Our landscape is shaped by its natural resources and how we use and interact with them. Similarly, those natural resources are critical to our wellbeing, providing direct and indirect health benefits and sustaining our future prosperity. A good quality environment provides us with many natural benefits that keep us happy and healthy such as clean air to breathe, water to drink, food, fuel, and wonderful spaces for us to exercise and relax in. The County Borough of Neath Port Talbot (NPT) is comprised of the broad valleys of the Rivers Neath, Dulais and Tawe. There is a moderate amount of farming, mainly in the uplands, with the main towns and settlements in the flood plains. The natural environment has played an important part in the area’s prosperity in its industrial past. This continues to be the case, but the focus has changed with the demise of heavy industry. The area has more recently become a hub for renewable energy developments. The high quality natural environment is also a significant attraction for visitors. What do we currently know about the state of environmental well-being in NPT? The evidence used to inform the assessment includes sources of research, National Resource Wales’s (NRW’s) NPT environmental evidence pack, national indicators provided by the Welsh Government, other performance information, evidence collected to inform the Council’s Local Development Plan and other statutory/national/local assessments that have been undertaken. Why is water quality important for wellbeing? We take it for granted, but water is one of our most basic and essential needs and without it there wouldn’t be any life on our planet. Clean water is vital to business and industry, the two major uses in the UK being for energy (electrical production) and farming. Water also shapes our environment creating some of the great features of the natural world and provides us with opportunities for recreation and relaxation. On the flip side, water can also present us with problems. What are the pressures on our water environment? – Aged sewerage system and sewerage misconnections from housing and industrial estates. The County Borough’s potable water needs are met mainly by transfer from other catchments, but industrial needs, e.g. Tata, are met from riverine sources. Conversely, too much surface water can cause problems. The Western Wales Flood risk Management Plan identifies the County Borough Talbot as an area of significant flood risk and has four of the ‘top ten communities at risk’ from main river flooding are within the county: Port Talbot, Margam, Morfa Glas (Glynneath) and Resolven. 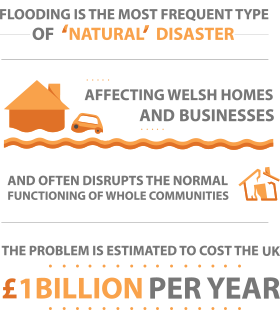 Other communities considered at risk are Baglan, Glyncorrwg, Neath, Trebanos, and Ystalyfera. We know that looking ahead, traditional “hard” flood defences cannot be solely relied upon and need to look at alternatives including working with natural processes and implementing alternative land management practices to better manage surface water run-off. Why is Air quality important to wellbeing? Children, the elderly and those with pre-existing conditions are the most susceptible to the problem. 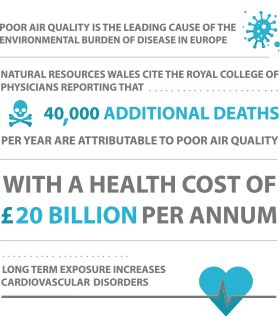 As well as the health impacts poor air quality also affects peoples’ quality of life as well as their standard of living if they are prevented from working. The main sources of air pollution are man-made and the problems are greater in urban rather than rural areas. What are the pressures on our air? – Air quality (PM10 – particulate matter 10 micrometers or less in diameter) in Port Talbot. – Traffic related air quality. – Nickel from industrial processes. – Nuisance dust from sites across the County Borough. Air quality in Port Talbot is affected by a number of factors including the weather, topography, emission sources from both outside and inside the local area, and is particularly related to the steelworks and transport. An Air Quality Management Area (AQMA) was declared in Taibach/Margam in 2000. Air quality in Port Talbot has shown significant improvements in the last 10 years but further improvement is sought. Traffic related air quality is weather dependant, very local and constantly measured across the County Borough. Traffic pollution is a major problem across the UK. Monitoring has indicated the Victoria Gardens area of Neath and Swansea Road, Pontardawe, as areas requiring action. As a consequence of interventions, pollution levels at the latter location have decreased sufficiently to permit continuous monitoring to cease. Attempts to improve Victoria Gardens are ongoing. Why is land important to wellbeing? 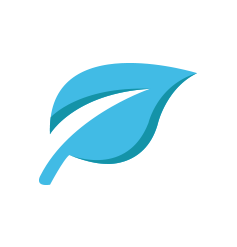 The benefits we derive from our terrestrial environment are broad and multi-fold. 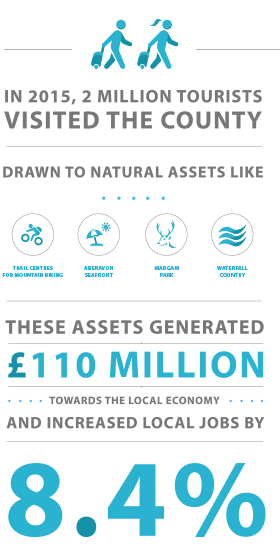 They include growing food, fibre and fuel, provision of raw materials, as well as spiritual, recreational and cultural benefits from our local landscapes. The way in which we use and manage land has a feedback loop and itself impacts upon the future benefits which we are able to receive from it. Our challenge is to manage conflicting and competing interests such as agriculture, industry, housing, recreation etc. whilst maintaining and enhancing the biodiversity and landscape we value. What are the pressures to our land? The area has a strong industrial heritage, with extensive mining for coal to meet the needs of iron and copper smelting, this followed with the development of the iron and subsequently steel making industry together with a diversification into oil and petrochemical industries. Some of our past choices were based upon very different needs and priorities and in some areas have left an ongoing legacy, e.g. contaminated land. Contamination can cause significant harm to ecosystems, humans, property as well as pollution of ground and surface waters. In redeveloping brownfield land it is important to ensure that all risks associated with potential land contamination have been addressed so that the land is suitable for use. We have already seen the successful redevelopment of a number of key sites in the County Borough including the Coed Darcy Urban Village and the Swansea University second campus. The County Borough Council is the lead body responsible for this matter and has set out its approach for addressing land contamination in its Contaminated Land Strategy (2015). Wild fires are a problem in NPT that will be exacerbated by climate change. Wild fires impact local communities by damaging wildlife, forests and hillsides, restricting public access to green spaces, causing air pollution, and put considerable strain and cost on public resources. Natural resources within urban areas, particularly green infrastructure – parks, amenity trees and community woodlands, rivers and ponds – can support communities (our social systems), providing opportunities for recreation, interaction and engagement. This helps to build social cohesion along with improved mental wellbeing and increased physical activity, both of which are of particular benefit in more deprived areas of NPT where social cohesion may be at a lower level. A significant part of the County Borough (12900 ha, approximately 30%) is comprised of Welsh Government Woodland Estate which is managed by NRW. As well as providing commercial timber, these areas have high amenity value and Afan Forest Park is one of the most popular mountain bike trail centres in Wales. The forests in the County Borough have been seriously impacted by Phytophthera Ramorum or Larch Disease, which has resulted in large scale felling. Although these areas are being replanted it will take many years for the new woodlands to become established. Both agriculture and forestry are highly susceptible to climate change and we’ll need to adapt our practices accordingly. Why is biodiversity important to wellbeing? Our economy, health and well-being depend on healthy, resilient ecosystems, which provide us with our food, clean water and air, the raw materials and energy for our industries and protect us against hazards, such as flooding and climate change. It is vital that we maintain and enhance our biodiversity to ensure it remains healthy, resilient and capable of adapting to change. Biodiversity is also a cultural service. People need and benefit from their connectedness to nature and the natural environment, whether that be for leisure and recreation, education or spiritually and from a sense of place. Our biodiversity is under threat from a range of issues, but two of the greatest pressures are climate change and agriculture (ref State of Nature Report 2016). One of the contributing pressures is the fragmentation of habitats, which means that species are more isolated and less able to adapt to changes. Insensitive management and changes in land use and increasing urbanisation means that habitats and habitat connectivity is being lost. The picture is mixed however and some species are doing better than others, e.g. Red Kites. Increasingly, invasive non-native species, such as Himalayan Balsam and Japanese Knotweed, are threatening local biodiversity as they can out compete our native species. Over-exploitation of the earth’s natural resources, the burning of fossil fuel (like oil, coal and gas) and the resultant climate change are having impacts on the natural environment that are significant on a geological timescale. Global climate change is leading to rising temperatures and sea levels and an increase in the number of extreme weather events in a number of regions. Why is climate change important to wellbeing? Neath Port Talbot has an extensive woodland estate (30%). In the context of climate change, forests are important because of their capacity to ’lock in’ carbon that is produced from the burning of fossil fuels. Peat bogs also play an important role in climate change mitigation and, like trees, ‘lock in’ carbon from the atmosphere. In the County of NPT, wild fires are an increasing problem. Climate change means hotter, drier weather and therefore more wild fires. These impact local communities by damaging wildlife, forests and hillsides, restricting public access to green spaces, causing air pollution, and put considerable strain and cost on public resources. Drier, hotter summers will mean the amount of water available within rivers will reduce. Water from rivers is vital for supporting the diverse ecosystems that live within them as well as supplying clean water for drinking, industry and agriculture. Climate change is expected to restrict the supply of water whilst population growth will add to demand. 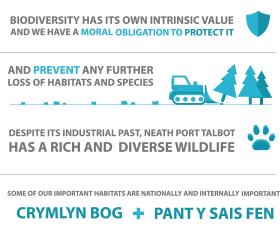 Protecting biodiversity in NPT can help us to adapt to climate change. Healthy ecosystems and protected areas are more resilient to climate change and more able to deliver us the natural benefits on which our well-being depends. In NPT, nature based solutions can help adapt to climate change. Natural flood management, for example should be an integral part of the overall adaptation effort as well as constructing more traditional flood defences. Such approaches can also have wider benefits, such as protecting biodiversity and creating and improving green spaces for recreation and tourism. The term “environmental well-being” has a variety of meanings amongst people living in NPT. 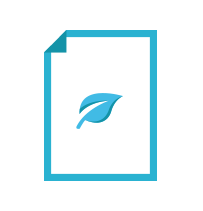 The Miller Report has demonstrated that having a clean environment was one of the most important determinants of environmental well-being. 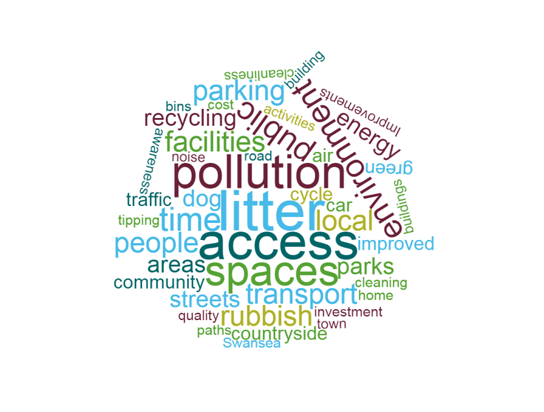 Furthermore, the need to maintain open spaces and specifically to keep them clean from litter was mentioned by one in ten respondents and discussed extensively during the workshops. Discussions about this theme tended to be concerned with the regular removal of litter, the provision of more dog fouling bins, and better education to prevent littering in the first place. Lack of safe walking and cycling provision was raised by some respondents, whilst others mentioned the need for access to a car and appropriate car parking provision, with many calling for it to be free. What do you think this means or refers to? Your level of environmental well-being? Respondents were also concerned about pollution, with 14 per cent mentioning this when describing what environmental well-being meant to them. The urban environment, and especially Neath town centre, came under the spotlight for negative reasons that certainly did not support environmental well-being. More generally, survey respondents wanted to see ‘better’ or ‘more’ or ‘improved’ amenity land, quality of outdoor spaces and leisure facilities in general. One quarter of the sample referred to there being less litter, and a cleaner environment. 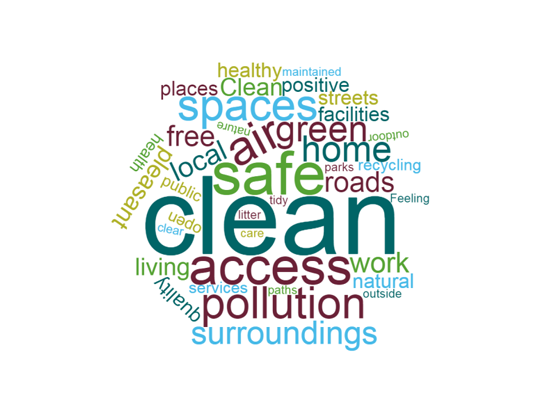 Of the survey respondents 13 per cent referred to ‘pollution’ when describing what could be improved, suggesting perhaps that perceptions of pollution are heightened in NPT (the largest proportion of respondents came from the Port Talbot community area). The quality of their surroundings is a key influence on peoples’ feelings of wellbeing, with good access to coastline, forestry, rivers, hills or parkland being considered as providing a significant boost to well-being. 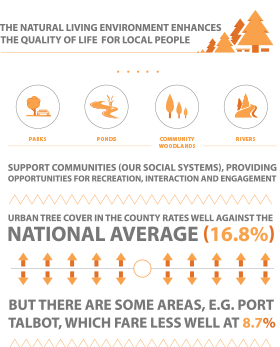 In some of the upper valley communities, such as the Afan Valley, relative economic poverty is offset to some extent by the high quality of physical landscape, whilst communities in the lower valleys and nearer the coast place a high value on access to the seashore. Unfortunately, many of the town centres and the built environment in Neath in particular fail to match these standards and many stakeholders felt unable to be proud of their local towns as they stand, with shop closures, poor standards of maintenance and excessive traffic. In terms of wider environmental issues, people appear to have taken ownership of the need to recycle, and there is extensive willingness to promote it further. There is widespread condemnation of the extent of littering and fly tipping in the area and a desire to see stronger penalties for those who offend in this way. Renewable energy is also generally supported, with some exceptions in areas where wind farms such as Pen y Cymoedd are being built at present. Air pollution is perceived to be a barrier to well-being in parts of the area, it is identified as a problem for some residents of Port Talbot, Neath and the Amman Valley. There are fears of flooding, especially in the Amman Valley and Pontardawe. How will Environmental Well-being be affected by Future Trends? Trends of extent and population for terrestrial, freshwater and marine species vary enormously; with some species increasing and some decreasing. For instance, both increases and decreases can be seen in birds, bats and many pollinator species (e.g. bees, butterflies) whilst for many species we do not have sufficient data on which to base any conclusions. There has been a marked reduction in the abundance of salmon in recent years, particularly in the southern regions of the species’ range which is linked to increased mortality at sea. Although stocks in many of our industrial rivers have improved in the last 30 years, most stocks in Wales are severely challenged. Targets for nitrogen dioxide, particulate matter (PM), nickel and polycyclic aromatic hydrocarbons are being breached in Wales, posing a threat to human health and the natural environment. The decline in heavy industry alongside regulation has resulted in a reduction in emissions of some pollutants, such as particulate matter (PM). Other sources, that are subject to less or no regulatory control, such as transport, agriculture and domestic heating, have become more of a concern. Ammonia remains an issue, both as a local air pollutant and as a contributor to the formation of secondary particulate matter. Concentrations of secondary particulate matter have risen in Wales in recent years, largely due to changes in agricultural practice. Climate change is predicted to affect the amount and distribution of rainfall; this has an impact on flows and water levels, drought and flood events; by 2050 river flows in winter may rise by 10-15% but in the summer and early autumn could reduce by over 50% and as much as 80% in some places. Droughts and flood events may become more common. By 2025 it is likely that groundwater recharge will decrease, resulting in decreased dry weather river flows and a general lowering of groundwater levels. This may have impacts on base-flow to rivers and wetlands in dry periods and affects small domestic and agricultural water supplies. Topsoil carbon concentrations are generally stable and there is ongoing recovery from soil acidification, it remains above the optimum levels in many (44%) agricultural fields. There has been little or no decline in elevated levels of soil contaminants from industry and transport. Although a significant decline in soil phosphorus levels has been seen for Improved Land. Soil invertebrate (mesofauna) numbers indicate no overall trend.